The Kenyan Coffee: history, characteristics, brends, production, making..
Coffee was introduced in Kenya in 1893 by the Britons. 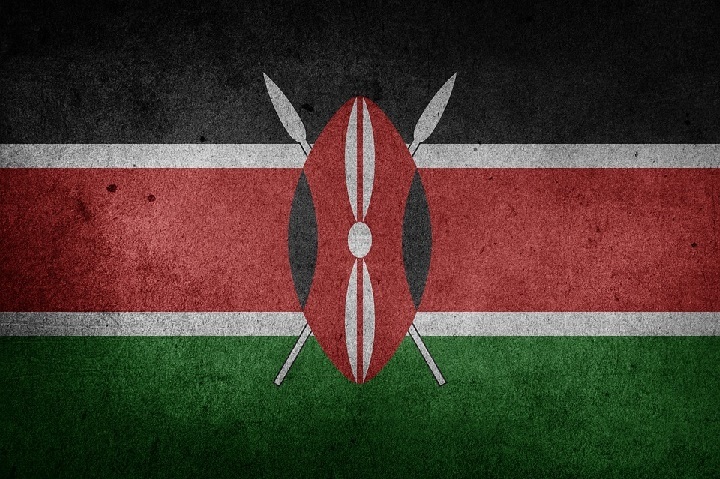 Today, Kenya produces one of the best coffees in the world. However, the journey has not been a smooth one. Before the Britons, the Arabs controlled coffee in Kenya. Thousands of Kenyans were enslaved and mistreated while they worked in the coffee plantations. In the 20th century, the Britons took over from the Arabs. However, this didn’t make things any better. The Britons introduced massive features taxes and paid Kenyans meagerly for their labor as an indirect way of banning Kenyans from growing coffee. This made to Kenyans leave their lands and Europeans took over. However, all this changed over time as Kenya gained independence. Kenya grows Arabica coffee, one of the main two coffee species in the world. Arabica coffee is of high quality, mild and much favored by the coffee aficionados. In Kenya, coffee is grown in the volcanic soil fertile highlands. There is about 160,000 ha of land under which coffee is grown in Kenya, with 1/3rd of this being under plantation. The rest is by small-scale growers who have employed over 250,000 Kenyans. These small landholders have also formed cooperatives that process and market their coffee. Unfortunately, despite Kenya being one of the best coffee producers in the world, coffee farmers in Kenya are among the poorest. Also, socio-economic factors have of late been affecting coffee production in the country with approximately 1 million coffee bags produced annually. The Arabica coffee performs well in the highlands with about 1400m-2000meters above sea level. It also requires not too hot temperatures of below 19˚C. The rainfall should be well dispersed throughout the year with an annual perspiration of over 1000mm. As for the soil, Arabica coffee does perfectly in deep, well-drained loam soils. With its broad rounded and slightly sloping valleys, and swift perennial streams, Kenya makes a perfect home for the world’s most favored coffee. The Kenyan highlands where the coffee is grown are also rich in volcanic soils that have good drainage. In addition to these features, a particular protocol is followed from the day coffee seeds are in the nursery, taken to the farm, pulping, milling and grading. This attention to detail ensures production of the best coffee. It also makes the Kenyan coffee achieve the highest quality coffee status at the world level. There are two distinct flowering seasons each year; March/April and October. The earliest crop starts in May to July. All Kenyan coffee is processed through wet method to ensure the best quality. During picking, only the red ripe cherry is picked. The cherries are taken to the factory for further sorting where the unripe, overripe and the diseased cherries are removed. The good cherries undergo an intense skin removal. The beans are taken through fermentation to remove the slimy sugary coating. This process takes up to 36 hours. The beans are then placed on sun drying tables and are regularly turned to achieve the bluish color that the Kenyan coffee is famous for. After drying, the beans are packed in sacks and taken to the mills. Grading and classification of the coffee are done at the mills. There are seven licensed coffee mills in Kenya and several private others. First, the parchment skin is removed, and then the beans are taken under mechanical grading. This classification gives seven different grades depending on size, shape and weight of the coffee beans. In addition to these grades, there is mbuni which is the coffee that has skipped the wet process. It comprises 10% of the total crop and is graded either as heavy mbuni (MH) or light mbuni (ML). It produces bitter tasting beverage and usually fetches a lower price than the standard coffee. One can easily distinguish coffee from Kenya by looking out at the following features. Kenyan coffee beans are bold, big and juicy. These unique characteristics make the Kenyan coffee the most pleasant among coffee drinkers. The features are probably enhanced by the fact that Kenyan coffee is grown without shading. Usually, Kenya produces SL-28 and SL-34 which are the most priced coffee varieties. The coffee is taken through post fermentation soaking which lasts for a day or longer. Kenya produces top quality coffee which is globally recognized for its unique and exquisite taste. 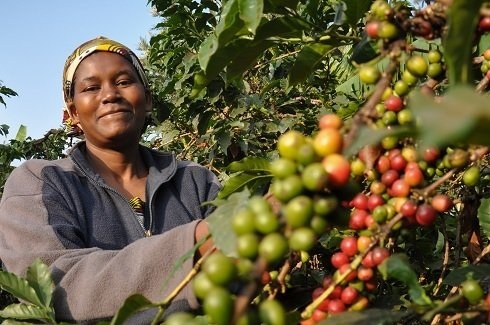 The favorable climatic conditions of the Kenyan highlands make it easy for the country to produce some of the best quality coffee beans in the world. 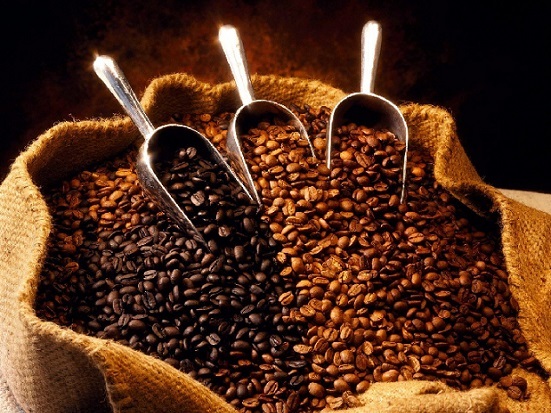 The Kenyan coffee has been sought after to improve some of the “tasteless” brands from other regions. This Kenyan coffee brand that sells in the international market under the name Klatch Coffee is one the most expensively sold coffee. This brand has been rated as one of the world’s best coffee garnering 96 points and coming in the fourth position behind Panama’s, Ethiopia’s and Nicaragua’s. According to the coffeereview.com website, the Kenyan coffee is one of the most loved in the world. According to reviewers from over 11 coffee tasting countries, they blindly described the Gachatha AA as having the following features. Has extraordinary authority and complexity. Complexly-expressed flowers lilac, lavender, honey and candied grapefruit that give an impression of a herb. It finishes with adopted sweetness surrounding a crisp and drying edge. This coffee comes from a well-renowned world’s best and most expensive Arabica coffee varieties, SL 28 and SL 34. Gachatha AA coffee is made by grinding the best quality coffee beans after the grading is done. These beans are the largest in size and have the high stamina of overcoming coffee bean diseases. This elegant and distinctive coffee brand is roasted by Las Angeles based small coffee roasting company, Klatch Company which is led by the area’s resident barista and trainer, Heather Perry. Gachatha AA brand perfectly represents Kenya’s profile in coffee production. This coffee is most suitable for coffee aficionados who love intricately floral, honey sweet and brisk, yet sweet coffee flavors. 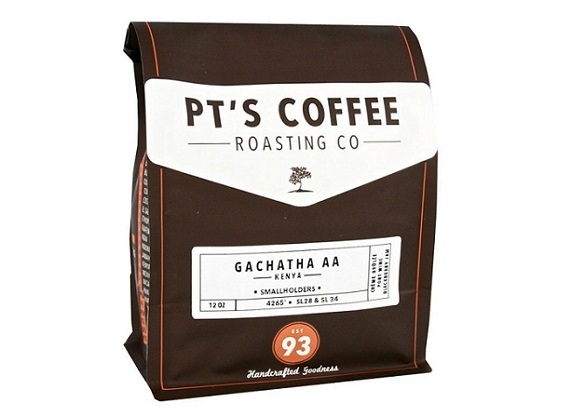 You can purchase this coffee brand on Amazon where it is available under the name PT’s Coffee Gachatha AA Light Roasted Whole Coffee Bean. Willoughby Coffee (Kenya AA Kigwandi Estate) is from a small coffee factory in Mukurweini, Nyeri Kenya. The brand has managed to appear in the top 30 best coffees in the world. Just like Gachatha AA, it is also pricey and is available on Amazon under the name Kenya AA Estate. Despite coming from a small local co-operative in the interiors of the Mt. Kenya region, the coffee brand has desirable characteristics that impress coffee lovers worldwide. After blindly tasting this coffee, international coffee tasters had the following features to describe about the brand. Similarly like Gachatha AA, this brand also comes from SL 28 and SL 34 Arabica coffee varieties. The coffee brand is made of the best coffee beans grade, the AA which is usually large and also less likely to be attacked by diseases. These beans are near to perfection and that why this coffee brand managed to scoop position ten among thirty other brands from around the world. If you are looking for a highly authentic yet seductive coffee flavor, then this small coffee brand from Kenya is the best option to go for. Like many Kenyan coffee brands, Victrola coffee is made from Arabica varieties SL 28 and SL 32. The brand uses peaberries, which is made when the fruit develops only one oval shaped berry other than the usual two, flat shaped beans. Sweetly bright, delicate and gentle. Peaberries making this brand come from a small wet coffee mill in Tambaya. Peaberries usually have better and sweeter coffee compared to the regular coffee beans. This brand is especially gentle and fuses sweetness with crispy savory. It is also graceful and soft with lively acidity which makes it one of the accessible Kenya coffees. It is available on Amazon under the name Kenya Peaberry Nyeri Ndimaini Coffee Beans. This coffee brand comes from Kiambu, Kenya. It has impressive features and savory taste like any other Kenya brand, making it one of the most sought after coffee. It is pricey but considering its taste; it’s worth the price. 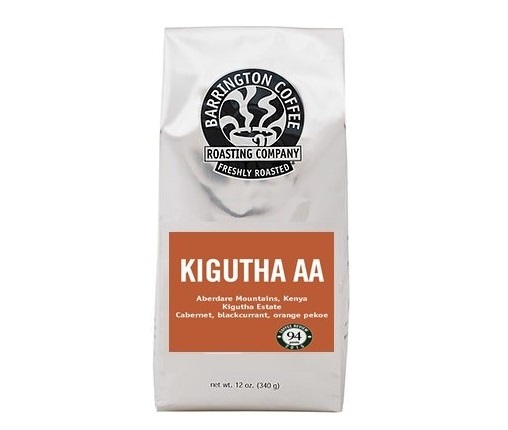 The roasting of this coffee brand was offered to Barrington Coffee after winning the Kenyan Coffee auction. Kigutha AA possesses the below features which make it appear in the list of the best tasting coffees worldwide. Brightly juicy, big and sweet. Sweet zesty yet acidic taste with a flavor surrounding flowers and citrus. 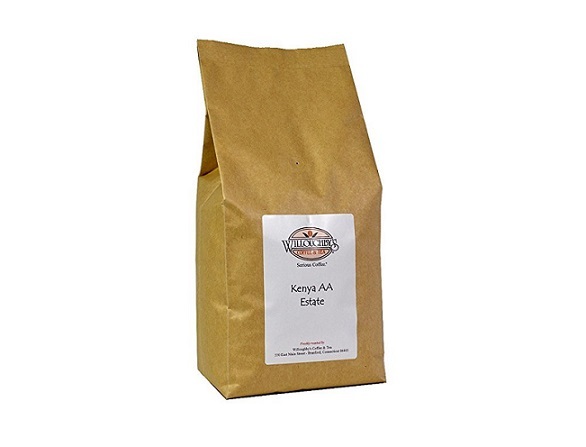 The Kenya Kigutha AA is made from highest quality coffee beans. Barrington Roasters have been able to produce an elegant and distinctive coffee from these beans. Kenyan coffee aficionados will find this coffee satisfying with its bright, juicy and tart-sweet taste. What Makes Kenyan Coffee so Special? Every characteristic of the Kenyan coffee makes it unique and hence favorable. These characteristics give it the strength to compete with world’s largest coffee producing nations such as Ethiopia. In addition to these features, other factors make the Kenya coffee special. In addition to its potent sweetness and compelling character, the Kenyan coffee inhibits a resonance Cup presence. It has intense flavors with a winey taste similar to the Ethiopian Harrar. However, the full bolded richness makes it stand out against the latter. The intoxicating black currant flavor and aroma undertones of the Kenyan coffee are enough to make you want more. The acidity, taste, and the aftertaste mouth feel of the Kenyan coffee has earned it the title the Connoisseurs Cup. The climatic conditions of the coffee growing areas have the most favorable Arabica coffee requirements. With these factors, the country has managed to be in the front line in producing world’s most loved coffee. Coffee in Kenya is mainly grown by the small-scale landowners who have joined hand to come up with co-operatives. The co-operatives are usually involved in the marketing of the Kenyan coffee. In every harvesting season, coffee auctioneering is held every Tuesday whereby the highest bidders are given the tender to roast the coffee beans. Being from a country that produces the best and most loved coffee globally, Kenyans have different ways to enjoy their coffee. 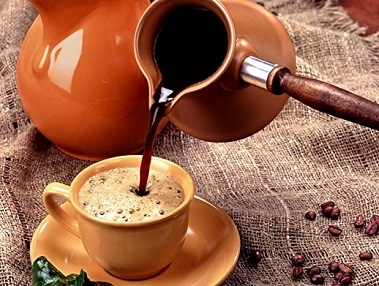 The most common however is the Kahawa Chungu (Bitter Coffee) which is a specialty in the Kenyan Coast cuisine and especially favored by older men. This beverage is made from freshly ground coffee beans to produce bitter flavored coffee. It is also rich in cardamom and cinnamon flavors. It is usually brewed in tall brass kettles placed under charcoal stoves. The Coast people borrowed this coffee brewing method from the Ancient Arabic world by whom they happen to have a familial relationship. The senior men usually enjoy the Kahawa Chungu from tiny ceramic cups while sitting on low benches playing chess. The beverage is accompanied by dates or Haluwa, a sweet and dense confection. Other regions in the country have also adopted drinking of this beverage with hawkers going round in the streets selling it. Empty the hot mixture in a coffee/teapot and serve it with either Haluwa or dates. There are several myths surrounding coffee taking in Kenya. Sometimes, these tales might make it hard for you to enjoy your cup of coffee peacefully. Below are some of these urban legends that one should be aware of and drop them before they intimidate them to the extent of stopping taking coffee. It’s a common believe that if you down a cup of coffee in the afternoon, chances are you are going to lack sleep at night. Yes, coffee contains caffeine but your liver processes the coffee you consume at lightning speed. This means by the time you go to bed; there will be no caffeine running through your blood streams. 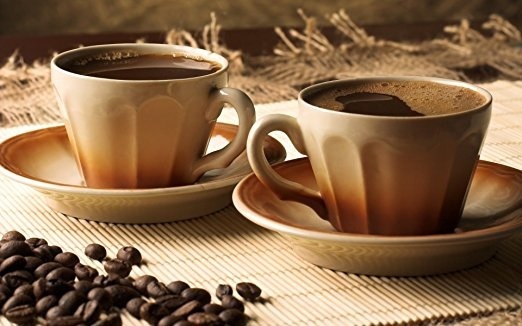 Many people believe that they can use coffee to cure the after alcohol effect. The truth, however, is that the coffee will only make you alert, but the hangover will still be there. In fact, studies done have shown that taking the coffee morning after a drinking spree night worsens the hangovers. The coffee stimulant effect can slightly increase the metabolism speed. However, this speed is not enough to help you use it as a weight loss measure. Not even as a long term weight loss method. However, caffeine reduces one’s appetite, but it’s not evident for how long the effect lasts. This is another wrong but common myth among many Kenyans. The coffee dehydrating effect is substituted by the amount of water making the coffee. Therefore, do not refrain from enjoying enjoy your cup of coffee in fear of dehydration. The coffee is a good way of alerting the central nervous system. However, the caffeine is not much enough to cause addiction, not unless you are using other caffeinated drugs such as heroin. If you are used to taking coffee, you might experience a little lightheadedness but not the withdrawal effects. The bottom line is, Kenyan coffee is the best and it will continue getting better as Kenyans work towards achieving the best all time coffee quality.